"At Gopal's we have an additional unique feature: our preparations are freshly made and sanctified by offering to Lord Krishna before being served. Hence we provide a truly blessed and karma-free meal." It's another attempt to nourish the soul as well as the stomach – and while it has its points, Gopal's doesn't come off quite so well as Crossways. The first problem is inevitable, considering how the two restaurants are run. Crossways is a non-profit restaurant, collecting just enough money to keep itself afloat. When it starts to dip into the red, Gopal's pulls it out, ensuring that the prices at Gopal's always have to be higher to balance out Crossways' incredibly cheap meals. That said, Gopal's main meals aren't expensive, especially if you choose one of the specials printed up around the walls. You'll want to steer clear of the desserts, though, as with a few exceptions – the apple pie is delicious comfort food, for instance – they're bland and overpriced. The menu offers a variety of meat-free meals – and not just the standard beans-and-vegetable options. For a high protein dinner, try the blocks of tofu or tempeh covered in an Indian sauce. Despite the sauce, the tofu is unsurprisingly bland, so unless you like the soy taste, go for the tempeh. 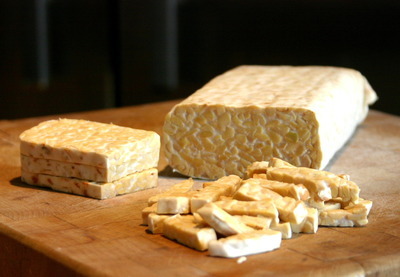 Tempeh is like tofu, but more so: the raw material is still soy, but the process for making it is longer and the end result actually has a distinctive taste. Another good choice is the Kofta ball, a deep-fried ball of mixed vegetables. It's what a dim sim would look like if it were twice the size and made by a proper chef (and, correspondingly, it's at least twice as tasty as a regular dim sim). While these are all nice meals, they're not very spicy for an Indian restaurant. Depending on your tastes, that might be a positive or a negative. If you squint, tempeh almost looks like meatloaf. Like Crossways, Gopal's is located up a flight of stairs. It's much smaller, though, and looks more like what you'd expect from a restaurant – the tables are regular-sized instead of enormous and there are printed menus lying about. There's a large window on one wall that works well for people-watching, as buskers or street performers can often be seen plying their trade on the street below. Gopal's won't win any prizes for upper-class dining – the tables are white and plastic, and you carry your own food on a tray from the counter where you order it – but it's serviceable and comfortable. One area in which Gopal's beats Crossways is the lassi. Unlike Crossways' watery lassi, Gopal's is thick and rich (and comes in more than one flavour). If you're not very hungry, it could almost count as a light meal by itself. Bear this in mind when you order one – the portion sizes at Gopal's are quite large and a common mistake is to finish neither your meal nor your drink. Other than the lassi, why go to Gopal's when Crossways is cheaper and just as good? For one, Gopal's is open for dinner, presenting a much better alternative than the nearby McDonalds or Hungry Jack's. Secondly, the variety at Gopal's is a refreshing change from Crossways' monotony. Unless you're regularly looking for dinner near Flinders St, the best way to appreciate Gopal's is infrequently: as an occasional reminder that Hare Krishna – and Indian – food is much wider and more interesting than Crossways would have you believe. Why? To see what Hare Krishna food can offer. Cost: Under $15 a main meal. Can You Find This Graffiti Lane in Melbourne CBD?